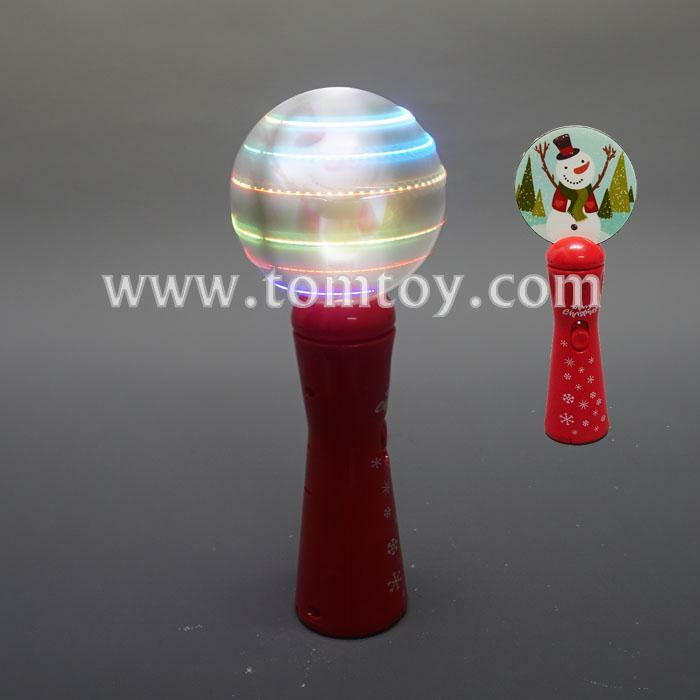 1.Our lovely Snowman Spinner Wand features 4 white internal LEDs and 6 external high powered red, blue and green LEDs. 3.Each 8.5" plastic LED snowman wand makes a great party favor for kids of all ages! 4.Kids and adults alike will be endlessly entertained by the brilliant light & snow show inside this magical toy wand. 5.Each wand comes with 3 AA batteries included and installed.